Power returned for its second season this summer with a bang — and record ratings. Before even two episodes of Season 2 had aired, Starz renewed the sophomore drama for a third season. So yes, Power will return for Season 3, meaning this Thursday night's season finale definitely won't be the last you see of the Starz drama. Executive producer 50 Cent has already started dropping hints about Season 3. Last month, he posted an Instagram with the cast and captioned it with the following: "In the writing room POWER SEASON 3 jail house flick, little 50 know it's about to get crazy. #FRIGO #SMSAUDIO." Sounds like Season 3 will be getting real. 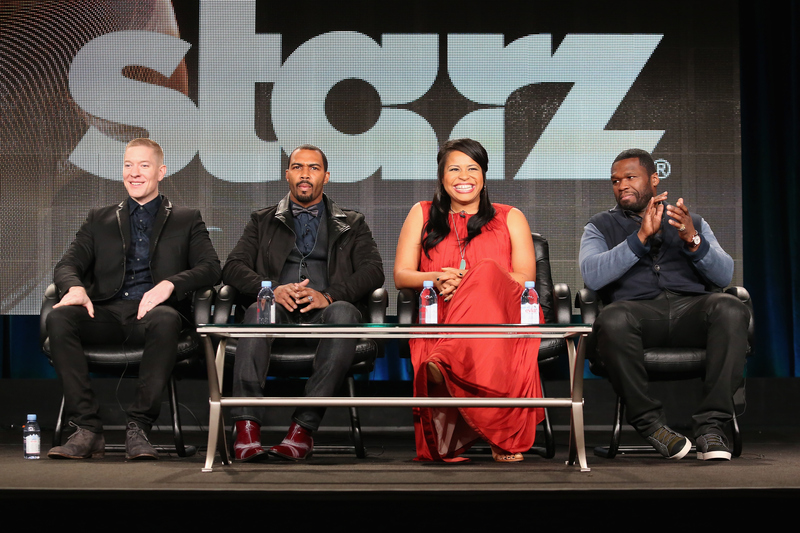 Power's Season 2 premiere amassed a record 1.43 million viewers and became the most watched season premiere in Starz history, according to The Wrap. For those who weren't one of those viewers, the drama series centers around James "Ghost" St. Patrick (played by Omari Hardwick), who owns a hoppin' nightclub in New York City — and also happens to be a major drug kingpin. He wants to get out of the drug business, but drama definitely ensues in this dangerous, yet glamorous world. "Power is a project I have been passionate about since day one," 50 Cent (aka Curtis Jackson) said in a statement upon the show's third season renewal. "I am glad the audience loves the show as much as we do, and we are just getting started." Now that a third season for Power is totally certain, here's what you can expect. The fate of Ghost and the rest of the characters is being decided as I type this. According to several sources, the cast and crew will be back at work next month, shooting Season 3 of the show at Steiner Studios in Brooklyn. Count 'em — 10 installments will be ready for your consumption next summer. Things will be so different by then — we'll all be a year older, there will be new songs on the radio, and Power execs have been teasing big changes for the Season 2 finale, which means Season 3's premiere may deal with that aftermath. 50 Cent, who also plays Kanan on the series, teased the jailhouse news in an Instagram snap. But who will it be? And will it be because of what happens below? Or will Tommy go from being arrested to serving time in the slammer? "If you’re Tommy — and I’ll just give you a little bit of a spoiler here — you were on time for the meeting. You got arrested. Where was Ghost?," co-creator Courtney Kemp Agboh told TVLine. "It’s hard to ignore that you’re the one in cuffs, and so is Lobos. Javier is dead. Lobos’ other guys are in custody. What happened there?" The big tease in the finale promos and interviews is that someone will die. Not just anyone, but "someone that we have been invested in," Kemp Agboh told TVLine. And with the final two episode titles being "Ghost is Dead" and "Time's Up," there's no question that someone will perish, but it remains to be soon who that character is. And will it be Ghost? The answers to all those questions may be answered in the Season 2 finale — and perhaps even more in Season 3. According to several sources (including the Power writers' Twitter), the Starz series will return in Summer 2016. Can you feel the heat already?